Hatkar's is Professionally managed firm. The Team Consists of Chartered Accountants and Advocates. The Firm represents a combination of Specialized Skills, which are geared to offer sound financial advice and services. Welcome to Hatkar's -Tax, Financial & Legal Consultant. 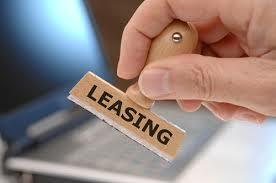 We assist to our client in getting All types of Equipment on Lease Rental basis in Mumbai. We will help alleviate clients investment risk by offering customized technology refresh options to help ensure that they have ready access to the equipment they need—even during their rent term. We also offer programs that enable clients to trade-in or return existing equipment, and possibly get cash or credit towards a new rental program. If client owns equipment, but wants the flexibility and disposition benefits of renting, they can convert owned assets into a rent with a sell and rent back. With a sell and rent back; client sells its owned equipment to Connect at the book value and rents it back for a mutally agreed term. As a result, client enjoys benefits like an immediate cash infusion from the sale, expedited migration plan to a new solution, and reduced risk of technology obsolescence. With a sell and rent back, client can convert its capital assets to liquid assets. A plan which gives Connect clients the flexibility to return / upgrade their existing portfolio and refresh their equipment prior to the expiry of the term. A plan designed to meet to acquire equipment which are required for short term. An ideal solution for pilot or short term assignments. 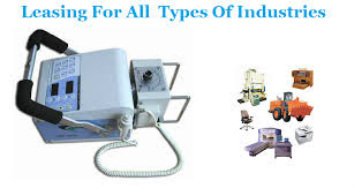 Equipment Leasing, Equipment Leasing in Mumbai, Equipment Leasing Company, Equipment Leasing Company in Mumbai, Equipment Leasing.